Special Features: The Support Belt can provide relief when your tummy starts to grow. 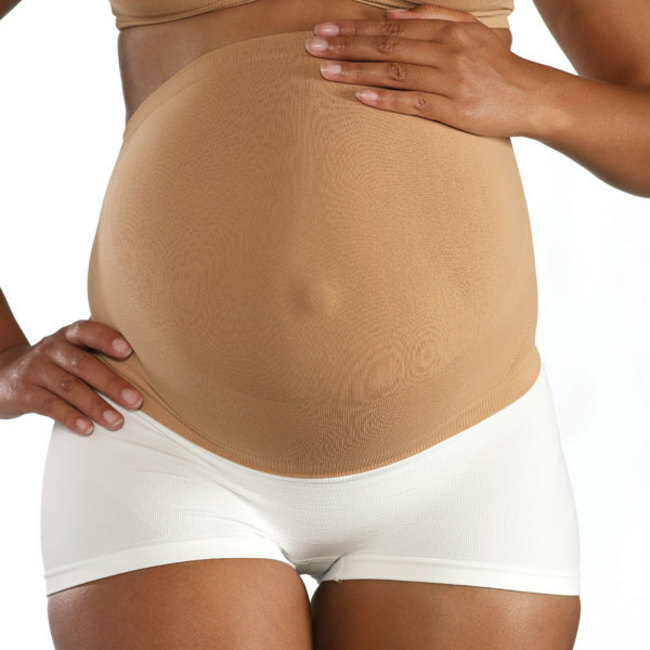 Women have reported it can help when suffering from Braxton Hicks contractions. The extra warmth and support can also help ease your muscles. It is a one piece belt with no seams but it is more dense at the bottom to provide the support where needed. Washing Instructions: Machine wash warm - tumble dry low. Color: White, Black, Tan, and Light Rose (while they last).